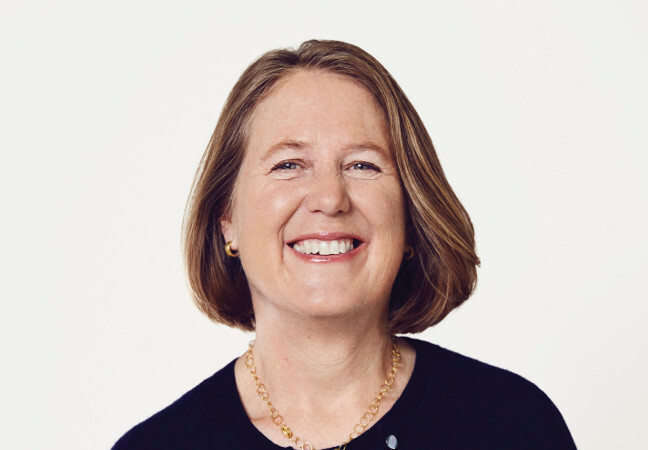 Diane Greene, currently CEO of Google Cloud, has had the type of career that looks like the inside flap of a fanciful novel. At 19 she organized the first Windsurfing World Championship, in which she won the women’s dinghy championship two years later. At 33, she turned her back on her master’s degree in naval architecture from MIT (she had been designing oil rigs) and got a computer science master’s at UC Berkeley. She has hunted treasure in sunken Spanish galleons, sold her first company to Microsoft in 1997 for $75 million, and was legendarily forced out of VMware after having been that company’s co-founder and CEO. Of course, that’s all just the first few chapters. The currently in-the-works portion of the novel of her life would focus exclusively on her newest challenge: growing Google’s enterprise services arms through Google Cloud. As the CEO of Google Cloud, Greene has been tasked with bringing serious business chops to a company that has, traditionally, focused more on the happiness of its internal engineers than of those who use its products externally. We sat down with Greene at Google Cloud Next, and asked her what it’s like turning a company that was designed to be like a college into a serious, enterprise-focused, customer-driven, services provider. Have you had to change the focus of Google’s Cloud engineering teams? The engineering organization that’s in Google Cloud has forever been servicing Google, so there has been a focus on products, but it’s been seven big applications with over a billion users, and because it’s all inside Google, you do a lot more real-time communication. One of the things was people understanding that now that we’re working with external people, we need a roadmap; and a roadmap is good for everyone, even inside Google. In the organization, it gives everybody more clarity. Has the change in focus from internal to external helped motivate the engineering team? I think it’s been motivational for the engineering organization to have all these customers. We have them come in, and they talk to everybody. Twitter was in and gave a fantastic talk. It’s exciting: all the technology is having this added impact in the world. You also realize that because it’s an external customer and they can’t use all our internal goodies, there are things we had to build for them, such as peer-to-peer networking and a lot of things around access controls, and encryption keys, and also integrating with all the partners. We created organizations to work with them, and we centralized it so they knew where to go to work with us. And then we put programs in place: enablement programs, integration programs… I think we still have a long way to go but we have made good progress. In the past, Google has deprecated APIs fairly consistently. Last year for Google Next, there were 12 deprecated APIs in Google AppEngine. Is this changing? Will Google stop killing off services on a whim? Customers really care, so I would say on the enterprise side, for a fair amount of time we’ve been reasonably conscientious about it. You don’t deploy a service to a bank or health care company and say, “Oh, we might stop it at any time.” The cloud lets you do this continuous release process. That doesn’t mean you can deprecate an API someone is counting on. You predicted that things were going to become cloud-based and move on from the data center VM-centered architecture recommended by VMware. This historic vision resulted in a much-reported split with the company. Now that your vision has been proven to have been correct, do you think you anticipated the current container-based, serverless, cloud world correctly, or is it different from what you imagined? I think it’s much more profound than I saw. I was taking to John L. Hennessy and David A. Patterson about this, and could you have seen where we are today? Gordon Moore was an amazing person for what he saw. The machine learning and AI, and what that’s doing, and the combination of that with the cloud is causing… It sounds trite, but it’s really true: companies are re-engineering how they work. They’re changing their work with things like GSuite, but they’re changing their business processes when they are in the cloud and have AI. They see it’s not that hard to do it. It’s suddenly very easy to deploy that. Any startup that started more than three years ago probably started on Amazon because they were the only game in town. People are starting to realize how secure we are. That is more than just getting elastic resources all over the world. It’s obviously driven by data, and you could always see how important data was, but the fact you can get so much data and get this near real-time intelligence from it is supercharging your data. It’s that combination that I certainly see how profound a change that would bring to every business in the world. People often say that they use Google’s Tensor Flow for machine learning, but run it in Amazon Web Services. What is Google doing to change that? What do you consider to be the Google Cloud value proposition over Amazon and Azure? Any startup that started more than three years ago probably started on Amazon because they were the only game in town. People are starting to realize how secure we are. I think that’s going to continue raising the awareness of how critical that is. Then, we did this vertical strategy that’s turning out to work amazingly well. We can go in for a given domain, and we have enough experts in what that domain means, and talk about platform tools we have. If you get your data into BigQuery and you want to do AI, or you need tools to anonymize your data or interconnect, we can put together that solution for you and show you whats possible. The customers want to brainstorm about what’s possible, and then know how to do it. If someone’s coming in just for infrastructure, if we engage, they generally want to do more than infrastructure. If it’s just infrastructure, we’ll win on performance, and the intuitiveness of our infrastructure, and its consistency.